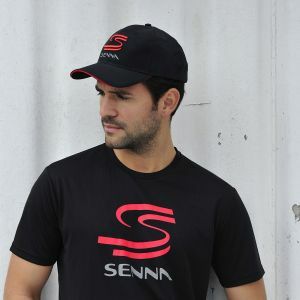 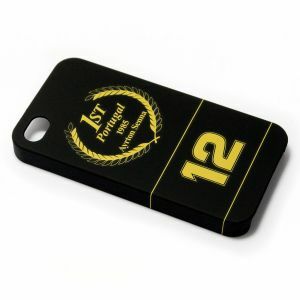 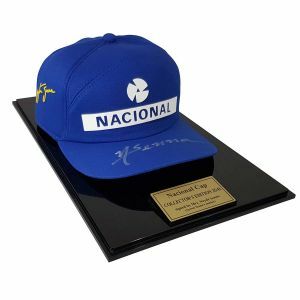 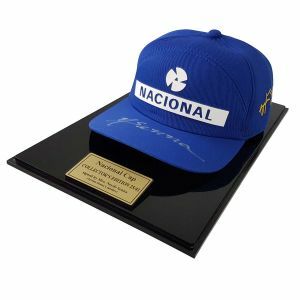 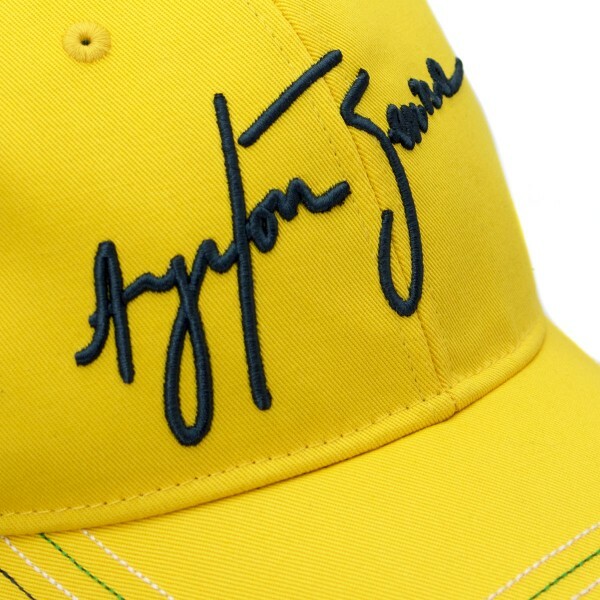 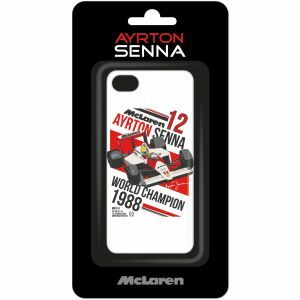 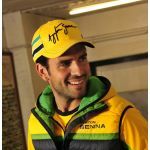 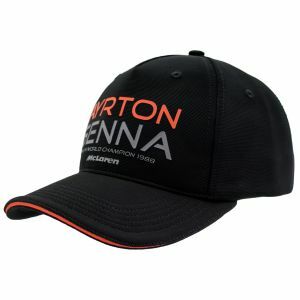 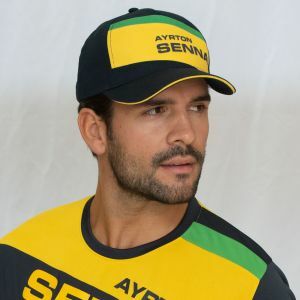 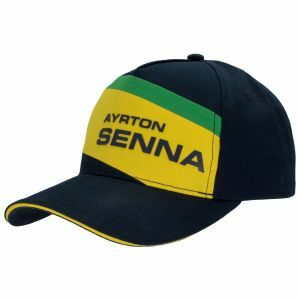 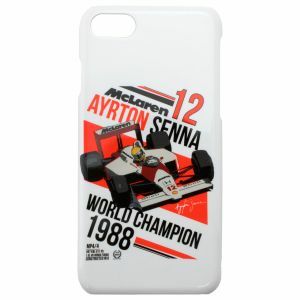 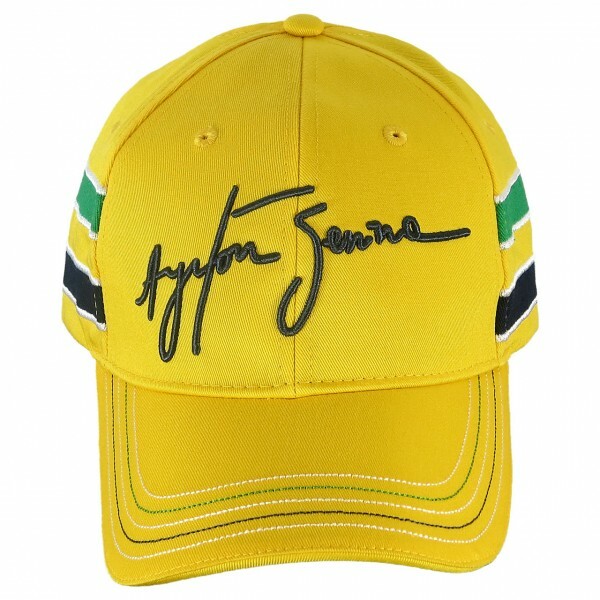 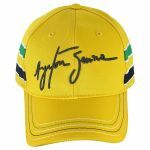 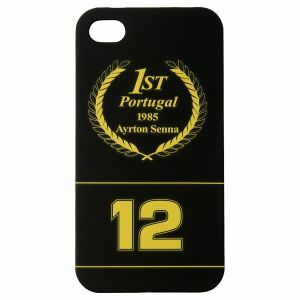 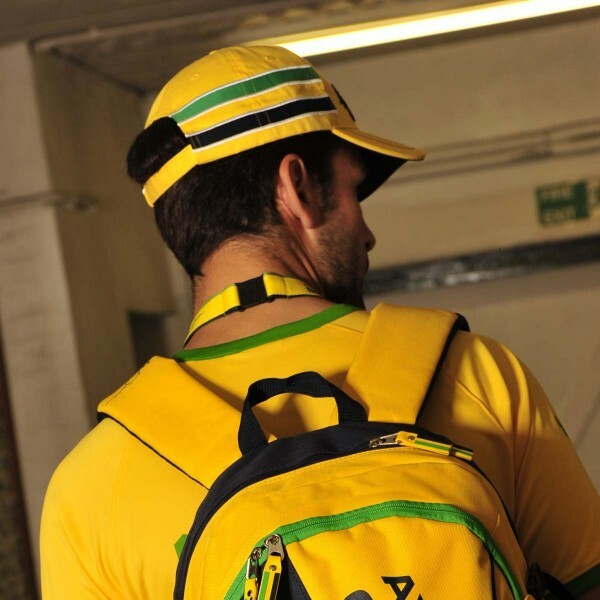 The design of this Cap is inspired by the helmet which Ayrton Senna wore during his Formula 1 career. 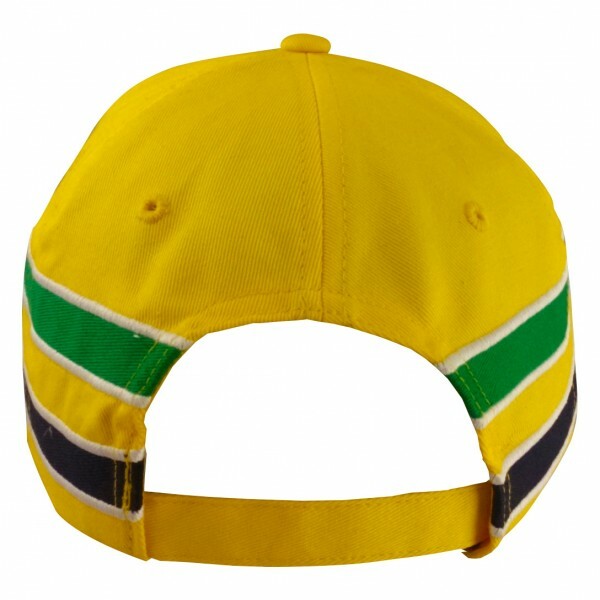 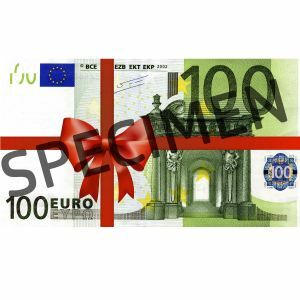 The signature on the frontside and the white outlines on the green and blue stripes are made with a sophisticated 3d-stich technique. 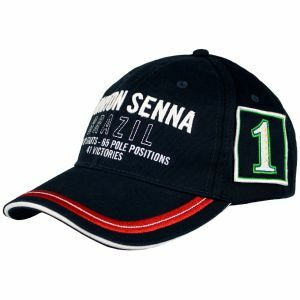 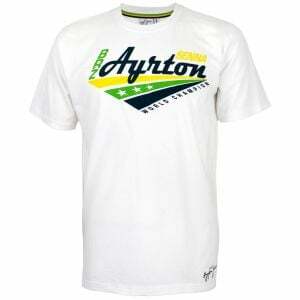 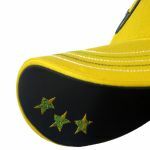 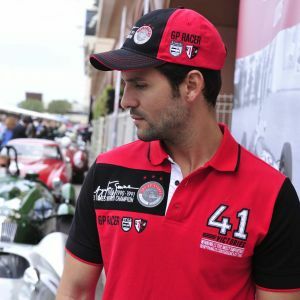 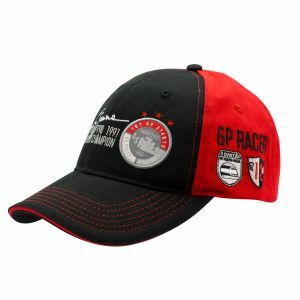 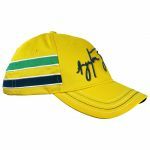 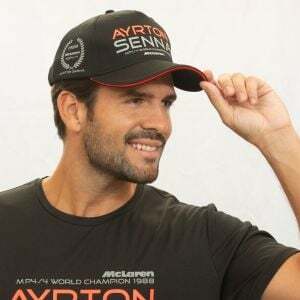 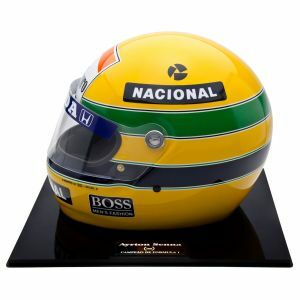 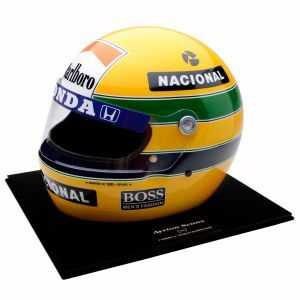 Additionally the brim is crested with stitched stars including the years in which he became Formula 1 world champion. 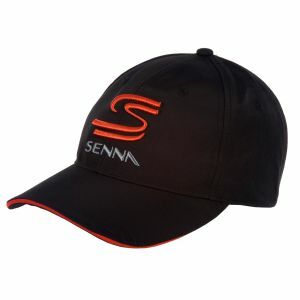 In summary we can say that this Cap is a perfect addition to our Fan-Collection.